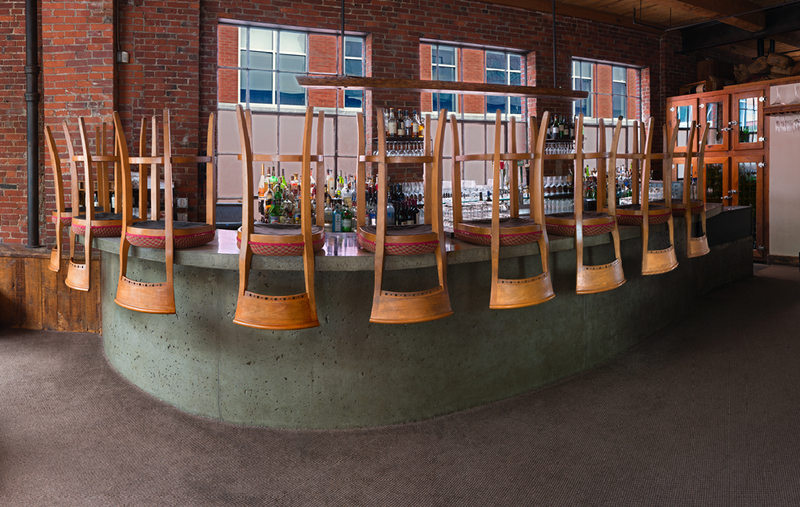 Location: Portland, Maine • Date: 6/26/10 • Standard Print (w & h): Image: 36.2" x 23.0"
This image of the bar at the Fore Street restaurant is composed of 22 individual shots taken at 51mm. I saw the backs of the bar stools when I was walking by the front of Fore Street at around three o'clock in the afternoon. I went in and asked if I could shoot the bar, and they said sure, which was a bit of a surprise.